Late yesterday, Bethesda published a letter to its fans that appeared to be an attempt to set their expectations for today’s launch of the Fallout 76 beta test on Xbox One. The letter covered a variety of topics, but the most notable was when Bethesda touched on how buggy its games have been in the past, prepping players for Fallout 76 bugs and issues that it allowed would, in some cases, be “spectacular” in their scope. Beyond that, it seems like Bethesda is trying to prep its fans for the reality that Fallout has moved online, with all that implies. Though the game has already undergone a weekend stress test, tonight’s Xbox One beta, which runs from 7:00 p.m. to 11:00 p.m. for people who pre-ordered it, will be Fallout 76’s first public showing. In this context, Bethesda’s letter makes sense: Big games with complicated systems can be prone to glitches, as anyone who’s played an Elder Scrolls or recent Fallout knows, but Fallout 76 is especially vulnerable to performance problems, since it’s also online, and since this is the first time that the public will be able to bash away on it. Will people who play the game tonight find their custom-made characters falling through the map or struggle to shoot targets at point-blank range? Will they even be able to log in? Only time will tell. As more studios adventure into “gamess as a service” territory, however, language like Bethesda’s isn’t uncommon. Over the weekend, the maker of Call of Duty: Black Ops 4 responded to players’ criticism of the game’s lowered server tick-rate by arguing that the downgrade was part of an effort to ensure stability at the game’s launch. “As we have always said, launch is just the beginning, and we’re committed to making Black Ops 4 the best-supported game we’ve ever delivered,” a representative for Treyarch wrote on the game’s subreddit. Similarly, Rockstar Games has already tried to lower expectations for Red Dead Redemption 2’s online mode, which doesn’t even come out until next month. “As we have learned from experience when launching Online games at this scale, there are bound to be a few issues and we want to ensure that we have time to gradually roll out the game and make the experience as smooth as we possibly can for everyone,” Imran Sarwar, Director of Design at Rockstar North, told IGN in an interview about the game’s online mode. Bethesda, perhaps, has a tougher road ahead of it with Fallout 76 compared to the competition. Prior Call of Duty games and the first Red Dead Redemption had online modes, and players have some idea of what to expect. But this is the first online Fallout (since Interplay’s planned Fallout Online MMO never released). In its letter yesterday, Bethesda tried to reassure fans that the shift to an online world will be worth the potential trouble. Fallout 76 has been a source of much discussion and debate, going back to when Kotaku initially reported that it was likely to be an online game. After Bethesda officially announced it shortly after, fans were split over whether that was good news. Would it retain enough of what makes a Fallout game a Fallout game, or would it feel like just another online survival game, but with nukes and power armor this time? That division showed up most recently in fans obsessing over certain iconography whose appearance in the game seemed to contradict the series’ existing lore, going back to early games when it was still owned by Interplay. Fallout 76 takes place in 2102, prior to the other games, which left some people scratching their heads about why an organization called The Brotherhood of Steel would be in it. Bethesda responded with a tweet attempting to explain the inconsistency with more lore. 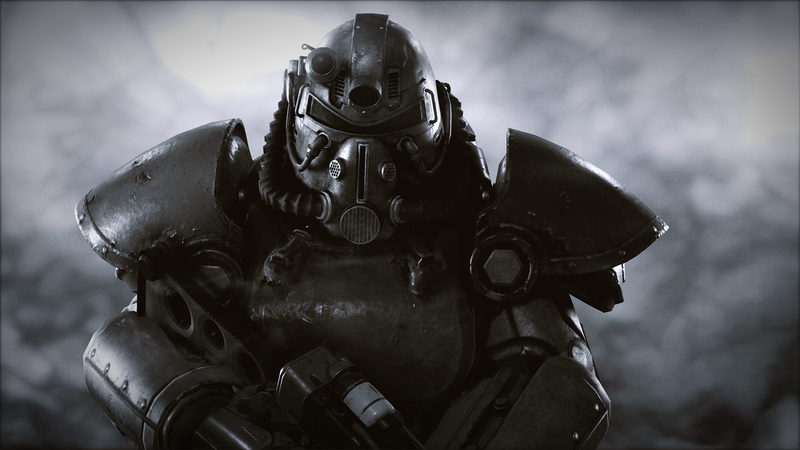 Although it is a small issue on its own, the discussion has illuminated the biggest division in the game’s community of fans, between those who see Fallout 76 as a betrayal of the series’ roots and those who are excited to see it evolve and chase the types of multiplayer experiences that have made games like Fortnite and PUBG so successful. “What, exactly, is this?” Bethesda asked about Fallout 76 rhetorically in its letter. It’s unlikely that anything will settle settle fans’ disagreement about what Fallout should be, but at the very least, tonight’s beta should help everyone get a better idea of what it actually is.